Alligators vs. Crocodiles: Do You Know the Difference? Figuring out the difference between an alligator and a crocodile can actually be pretty simple. However, most people find the task daunting since the true answer lies in the details. 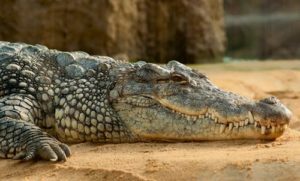 To an outsider, these two creatures may look like twins, but in actuality they are two distinct reptiles part of a greater order, Crocodylia. The easiest way to distinguish their differences is visually. Alligators are typically gray or black in color, whereas crocodiles tend to be olive or tan. 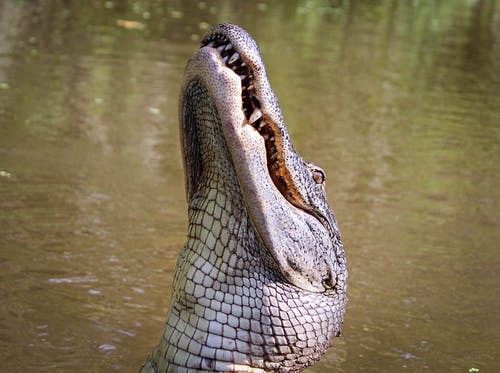 While alligators have rounded, “U”-shaped snouts, crocodiles feature a more pointed, “V”-shape instead. Also, a gator’s fourth tooth is often hidden, but in crocodiles the opposite is true; a fourth tooth proudly appears among interlocked teeth. Don’t want to stick your face near a crocodile’s mouth to find out? That’s fair. There are several other ways to distinguish the two, such as the fact that alligators hang out in freshwater while crocs tend to live in saltwater. Good news, the Florida Everglades has both! The best way to become an expert reptilian distinguisher is to see them for yourself. 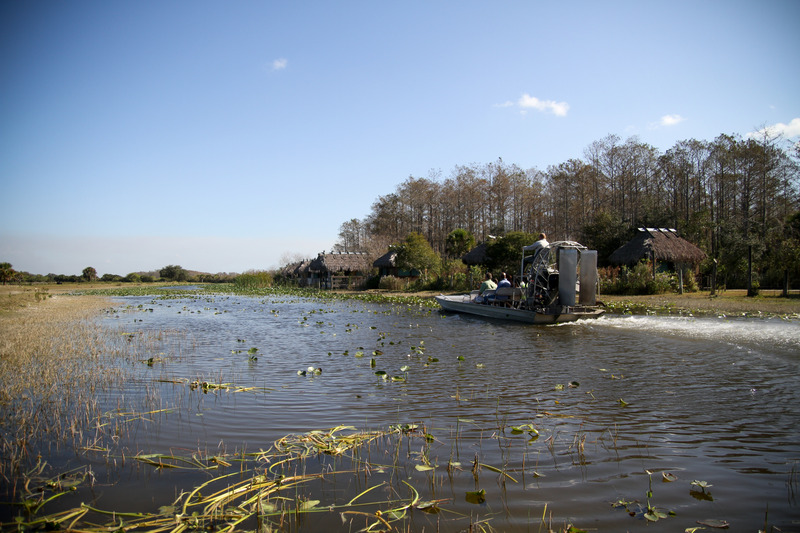 Both families can be found in their natural habitats situated within the Florida Everglades. In fact, South Florida is the only place where these two can even coexist. Freshwater runoff from the “River of Grass” meets saltwater from the Gulf of Mexico and Atlantic Ocean, creating an explosion of habitable life unlike any other ecosystem in the world. Those who want to observe these beautiful animals firsthand should visit Billie Swamp Safari on the Big Cypress Seminole Indian Reservation. Alligators are seen everywhere on their swamp buggy eco-tours and famous airboat rides which travel full-speed through the “River of Grass”. 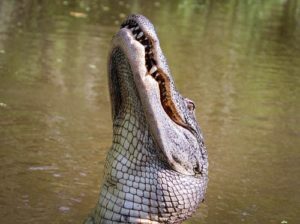 Although crocodiles are less bountiful, you can see them when you visit the saltwater parts of the Florida Everglades. Additionally, the Ah-Tah-Thi-Ki museum has a beautiful mile-long boardwalk for prime creature detecting purposes. And to answer perhaps the most important unasked question of all, if the two creatures were to fight. Well, that would be toss-up!